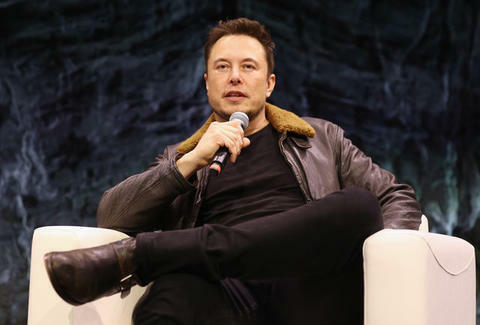 Elon Musk, alien communicator and the billionaire CEO behind Space X, Tesla, and casual flamethrowers, understands that Los Angeles has a traffic problem. That's why he started the Boring Company, an enterprise dedicated to digging underground tunnels used to avoid gridlock. Musk's company has been hard at work developing Boring's first tunnel, designed to service LAX, and now, it's primed to offer free test rides to the public in Los Angeles. Musk posted a video to Instagram on Friday, giving a glimpse of his snaking tunnel, which will one day ferry mass transit and everyday commuter vehicles on electric pods. In it, he noted that Boring is on the cusp of opening the tunnel for free public test rides, "pending final regulatory approval." The electric pods will be whisking people around in a few months when the tunnel officially opens for test rides, Musk noted. Boring company is setting its sights high. Musk tweeted on Friday that the company is already digging a tunnel between Washington DC and New York. He also mentioned another tunnel between LA and San Francisco will "hopefully" be underway next year. While the test rides in Los Angeles will be free once available, Musk has maintained that the cost of riding through a hypothetical tunnel will be less than a bus ticket. Whether the infrastructure will be viable enough to improve LA's snarling traffic issues remains to be seen.